Upgrade to the Ardo Calypso To Go Pure. Upgrades are available under certain commercial insurance plans. Upgrades are allowed by certain commercial insurance companies. Upgrade to a Spectra S 1 with a rechargeable battery. Upgrades are avalible under certain commercial insurance plans. 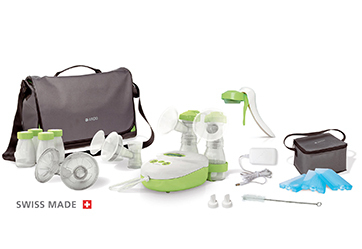 There are several reasons why we carry the breast pump brands in our selection. However, one of the biggest reasons is because all the breast pumps we supply are closed systems. 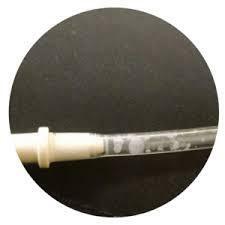 This means that no milk or moisture can be backed up in the tubing system of the breast pump which can turn into mold, as you see in this picture. There are many popular brands available on the internet which are open systems, or filtered system pumps, which can still create mold in the tubing. 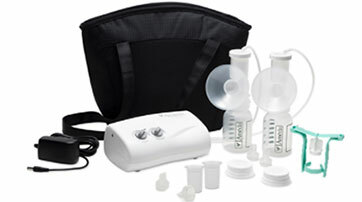 We ask that moms consider this as the primary thing to look for when researching breast pumps. There are many people allergic to mold and this can be a health hazard to the moms and babies. We at Matriarch Women’s Health Supply take pride in supplying safe and effective breast pumps for our moms. Thanks to the Affordable Care Act, insurance companies are now required to cover breast pumps, as they are essential equipment for breastfeeding mothers. When you work with us, you are eligible to receive a free breast pump with Medicaid in Texas, and throughout Texas. The same applies if you have commercial insurance – you’re covered, 100%. We are proud to serve mothers throughout Texas, providing the best quality breast pumps available. While most medical suppliers specialize in a wide variety of medical equipment, we specialize only in women’s health. We are one of the few local suppliers who provide the top brands of insurance-covered breast pumps, which are Texas Medicaid-compliant. We are dedicated to getting your breast pump to you within days of your due date. You will never have to jump through hoops to get in touch with us. We are just a phone call away, and you will have the pleasure of speaking to a real, live, customer-service person – not a robot. Please do not settle for a generic breast pump from a supplier who will leave you waiting. Those are the types of suppliers many insurance companies will refer you to if you call your insurance company for your pump. We do not want you, or your baby, you experience the medical detriment you would face by not having your pump on time. 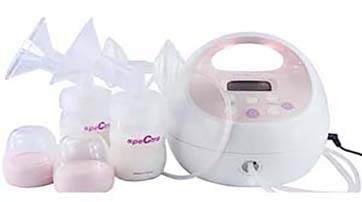 We supply only the best quality breast pumps, which are recommended to us by the certified lactation consultants with whom we are partnered. All of our brands are closed-system pumps, so you will never have to worry about the milk backing up in the tubes and damaging the motor. 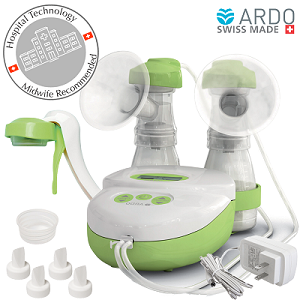 Choose from our selection of 100% Insured breast pumps and submit your information through our online form. We will check your eligibility and contact you within 72 hours. We at Matriarch Woman’s Health Supply are very proud to be one of the very few suppliers dedicated solely to women’s health and serving moms all over the great state of Texas. Our founder has been in the women’s health industry for the last seven years. He was previously a pharmaceutical salesman promoting prenatal vitamins. He developed a passion for women’s health after being fascinated by how strong women are through all stages of their pregnancy.